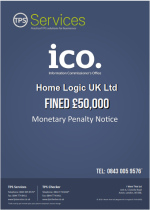 Home Logic UK Ltd, based in Hampshire, has been fined by the Information Commissioner’s Office (ICO) for making calls without screening against the Telephone Preference Service (TPS). Between 1 April 2015 and 31 July 2016, the TPS received 136 complaints from consumers about calls from the domestic energy saving company, despite having been registered with the TPS for at least 28 days. Home Logic UK Ltd provide home energy saving solutions, one of the ICO’s most commonly complained about types of calls in 2017. While 3 of the complaints were found to be calls not made by Home Logic UK Ltd, the remaining 133 related to calls made by the company while their normal TPS screening service was unavailable – the company did not find an alternative screening process, but continued to make calls regardless. The ICO issued them a fine of £50,000. At a whopping £50,000, 133 complaints equates roughly to £376 per complaint. A hefty penalty for sure. Apart from the fact it wasn’t your business that got fined, you have to see the bright side to fines like this; another example for everyone else to learn from. Buying data from third parties - Home Logic claimed that their data suppliers had assured them that the data they had purchased from them and used in their campaigns was screened against the TPS, but clearly it wasn’t. TPS Screening is YOUR responsibility - Whether you like the idea or not, it is your responsibility to TPS Screen and you cannot get away with saying that your supplier promised you that they had TPS screened the data they sold you. Home Logic found that out the hard way! Flaws in your systems - The ICO won’t care one little bit if part of your defence to a complaint is “We usually have this in place, but there was a problem with our system.” In the case of Home Logic, they knew that their dialler system was temporarily not working properly, but they still went ahead and called the data anyway with no TPS screening in place at all. “I could almost just copy and paste comments that have been made on previous articles here. It doesn't even need thinking about. No matter what any business sells you, the responsibility for calling numbers on the TPS or using data you've purchases for texting, emailing or voice broadcasting all rests with you and your business. Home Logic UK Ltd have learned the hard way, so listen up and learn from it before it’s your business that gets a fine.